IT for Change is currently developing a training curriculum on e-government for women's empowerment and gender equality, for policymakers in the Asia-Pacific region, in partnership with UNESCAP and UNPOG. This is based on a 5-country research study on gender and e-government in the Asia-Pacific, that we carried out in 2016. The study examined how e-government norms, rules and practices impact institutional shifts towards gender equality and women’s empowerment by focusing on its key components – service delivery, citizen uptake and connectivity architecture. It adopted an institutional analysis framework to map the state of play with respect to e-government policies and interventions in five countries in the region (Australia, Fiji, India, the Philippines and the Republic of Korea) and conduct an in-depth analysis of twelve good practices in gender-responsive e-government. The key findings of the study are accessible here. IT for Change (2016). 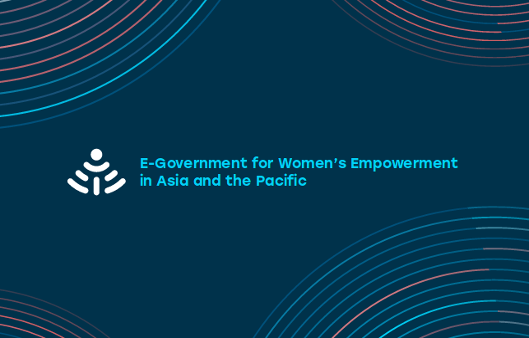 E-government for women's empowerment in Asia and the Pacific.